Composition is and will always be a priority for me and in a world of music so rich with influences and possibilities, I find the performance aspect of my musical career to be a valuable asset to my development as a writer. 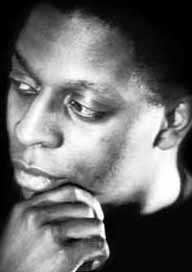 Born in London in 1963 of Jamaican parentage, I studied composition and clarinet at the Royal College of Music between 1981-85. I became the 1994 winner of the Cornelius Cardew prize for composition. As an eclectic and musical devotee, I emerged from the confines of a rigid classical music education to become a singer of Rhythm and Blues, rock, soul, pop, jazz and contemporary opera as well as a songwriter in all aforementioned styles. Add a sprinkling of saxophone playing, television presenting and record producing and that is pretty much my C V to date. part of the Associated Board syllabus for several years at grades 2, 4 and 6. To contact Michael please e-mail Email.